Home / Recipe / Sweet muffins recipe loaded with carrots, zucchini and squash! Sweet muffins recipe loaded with carrots, zucchini and squash! Publisher: Ruth Nyaboe July 05, 2018 This information is provided solely as a guideline. 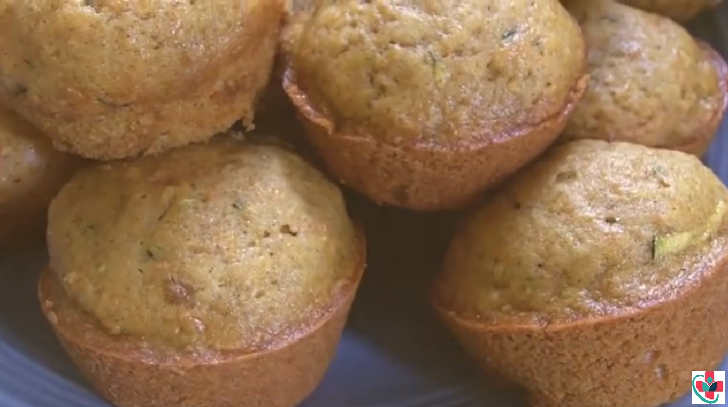 These muffins are loaded with sweet carrots, zucchini, and squash with a sweet, cinnamon taste. If you like quick loaves of bread like banana bread, zucchini bread, apple bread and things like that, then you will love these muffins! These sweet veggie muffins make the house smell so good! ⏩In a medium-sized bowl, whisk together flour, salt, baking soda, baking powder, cinnamon, and nutmeg. Set aside. ⏩In a separate large bowl, add vegetable oil, packed brown sugar, & white sugar. ⏩Use a mixer to combine. ⏩Stir in pure vanilla extract. ⏩Add dry ingredients to wet ingredients. ⏩Stir gently just until well combined. The batter will be thick and doughy. ⏩Stir in the fresh shredded vegetables. ⏩Generously grease and flour muffin pans. ⏩Fill the cups ¾ inch full of batter. Recipe Notes: Feel free to reduce or substitute the sugar if desired. Shredded apples or applesauce makes a great natural sweetener as do honey.